Gram Games is an interesting company and one that deserves a lot of attention. In the past years, the mobile marketplace has matured to a point where most mobile companies can’t compete as premium nor free-to-play. Some companies have left the marketplace in search of new platforms like VR, some have doubled down on existing franchises in absence of a new hit. Making traditional free to play games on mobile has become increasingly difficult and creatively challenging. Productions now last years on high scoped free-to-play titles, and the success of these games are built upon designers finding ways to retain players for years. The risk of developing a traditional free to play title today has never been higher. Gram Games takes a bit of a different approach. Gram creates games for “hyper casuals”. Players that aren’t looking for a deep long lasting game, but looking for something fun and interesting to try. Something that’s instantly gratifying and playful. Games like 1010!, Merged! and Merge Town really exemplifies this focus. Gram Games has had a history of launching quality hyper-casual games, growing them to the top of the free charts, and making plenty of revenue from advertisements in these games. They’ve found enough success out of this model to expand their studios from Turkey to London just this year, as well as start incorporating in-app purchases in their strategy with games like Merge Dragons. One key aspect that separates Gram Games culture from other gaming companies is the focus on innovation through game jams. Promoting that every Friday, teams have the opportunity to prototype new mechanics. This makes sense with their business model: it relies on accessible, innovative mechanics, and production times that are measured in weeks rather than months. There is a low risk and high interest in just trying interesting mobile mechanics out. Very different from traditional free to play. 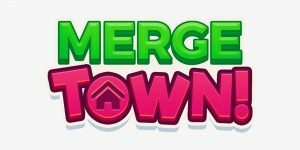 How did you make the decision to start Merge Town? How long did it take to produce Merge Town? Merge Town first was first developed by building on the merging mechanic we used in our first IAP-based title, Merge Dragons. We thought we could use the simple mechanic, and give the player the experience of clearing the board/progress. 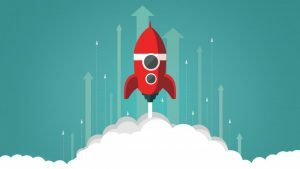 Overall the development effort took a few months, including full development, soft launch, and other tests we ran to see where we could stretch the LTV/CPI figures. Because this was a hyper-casual game using a tried and tested mechanic, we were fairly confident in the mechanic itself, but we had to have a longer testing period (about 6-8 weeks) to test monetization/theme. We tested different options where we started out with one world only, added the second world and used a different number of levels where the players can discover for buildings. We also tested with variations in where the ads were used to arrive at where we are today. When you are doing your weekly game jams, is the video ad integration points already something important you are designing for? Not in detail, but it is something that is always on the agenda. If the presenter of the idea has not included it in the main pitch, we still ask where rewarded videos will kick in, where interstitial videos may kick in – we need to have a preliminary idea of monetization. When thinking about Game Design and Session Design for Video Ad Driven games, what is more important — driving Session Length or driving Sessions per Day? We aim for both! If you’d really have to pick one, it would depend on the type of ad units you’d like to utilize in the game. For example, an average user would see more banner ad impressions on a long session length game, but (depending on where you introduce the video ad interstitials) more sessions per day would mean more video ad interstitials. We generally see that session length tends to be constant over a user’s lifetime, whereas sessions per day go down as more time passes for an average player. You could, of course, introduce other videos (like rewarded) during gameplay to boost video ads through session length, as players watch more rewarded videos in longer sessions. These are different parameters you can play around with to optimize to the highest extent possible while still maintaining player satisfaction. Do you see Advertisement driven games as eventually overtaking (in terms of daily revenue) the Top Grossing games on mobile? Not in the short-term, since most of the ads served are for other games that monetize mainly through in-app purchases, so ad-based games operate at the low end of the LTV/CPI curve. But in the long-term, with viewability and performance measurement enhancements, more and more brands will enter the ads business, giving ads-based games the ability to act as “new media”. 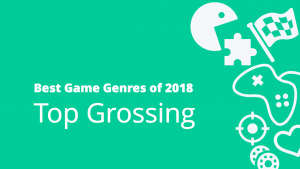 Unfortunately there is not much public information on ad game revenue figures, but some of them would enter Top 50 grossing games, even today. There is not much public information on ad game revenue… but some of them would enter Top 50 grossing games, even today. For advertisements, what integration points have the highest revenue impact? Those that have a higher adoption (% of DAU using it) or ones where users can watch unlimited ads for a small gain? Adoption rates are generally constant for banners and video interstitials, but can vary greatly for rewarded videos (since they are user opt-in). Generally, there is a correlation between adoption rate and impression per DAU, since the first is a key determinant of the latter. Since adoption rates are closer to constant for banners and interstitials, we tackle more impressions per DAU and CPMs (for which you’d need to work with ad networks and focus on the right geos to optimize). For rewarded videos, we work to improve adoption rates through changes we implement within the game, such as making them part of the core gameplay, giving the player a chance to cast a new spell, ask for new lives/orders for progression and etc. By changing UI, and making it more accessible also helps boost adoption. Once game updates are done, adoption rates end up at a stable place, where you can work to optimize CPMs like other ad units. Why did you decide to integrate the forced Ad points into Merge Town? There is the obvious UX impact, but does the increased video ads watched outweigh this issue? This is always a big discussion point before launching any new game. Whenever you introduce a forced ad in a game, you get a UX/retention hit, but a rise in ARPDAU. Optimal points differ from game to game as shorter lifetime does not necessarily mean lower LTV. Some games end up at the more aggressive advertisement end of the spectrum, others less. How do the metrics compare between Merge Town and Merge Dragons? Merge Dragons is our only game that does not include ads, whereas Merge Town is the one where we use video and rewarded ads heavily. Merge Town is a much simpler game that uses the core mechanic of Merge Dragons, but there is less of a long-term story associated with it. So you get a higher short-term retention, but a lower long-term retention – that’s to be expected. Because Merge Dragons monetizes mainly through IAP rather than through ads, monetization is harder to compare. UX is more significant in Merge Dragons, as we aim for higher long-term retention to form a community of committed players. Idle as an economy has clear benefits for video ad integration. Do you see any other progression systems (ex. Saga, Simulation) that could also have strong ad integration? For opt-in video ads, I’d say an Idle Game has an easier time finding integration points. This is less true for interstitial video ads, as there needs to be clear breaks in place to use them. This is actually harder to find on idle games, but easier in games with defined sessions or stages (like saga or high score games). As there is some impact on long-term retention, it is harder to use forced interstitials on games that monetize mainly through IAP. One key aspect that makes Ad driven games work is the fact that they are so approachable, so marketable. During the creative process, how do you ensure what you are creating is going to be so attractive to the mobile audience? Have such a low CPI? Similar to the way we are testing monetization and engagement, we also test how marketable a game is during the soft launch. Hyper casual games generally have low CPIs, but also lower LTVs than their IAP counterparts. The key thing to remember when designing a hyper-casual game is the fact that your audience is different from a traditional “gamer” audience. Therefore the mechanics that work on traditional gamers may not work there. For example, certain themes (space, Fantasy/RPG) have very specific, committed segments of gamers that are lower in numbers for a hyper-casual game. That’s why we strive towards very simple, easy-to-associate-with themes in our games (e.g. blocks, buildings). A hyper-casual game would not go for excessive items, skills, crafting and base building. Certain casual games can use one of these successfully (for example our casual title Merge Dragons! ), and mid-core games could employ multiple of them successfully as seen in many successful IAP titles. But hyper casuals would have to go after millions of users, so they should not be focusing on a committed sub-segment, but rather strive to appeal to a mass audience. We constantly test, iterate, and have to “throw out” prototypes where we see this work/don’t work, and always see that mass appeal brings in higher short-term retention, and certain progressive elements (levels etc.) and simplicity can bring people back to play over the long-term (1010! is a successful example of this). What brings people back 2 years after installing a game would be different on a hyper-casual game compared to a mid-core game, thus a less “intimidating” game for a non-gamer could help there. Imagine a player who would have only 1-2 games on their phone, playing from time to time, and don’t play games on their PC. This is a very good target audience for an ad based hyper-casual game, also due to the fact that brands would have a higher appetite to target them. 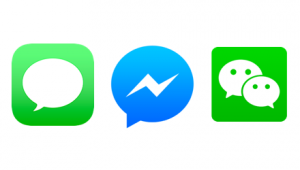 Messenger Games – The next big opportunity?